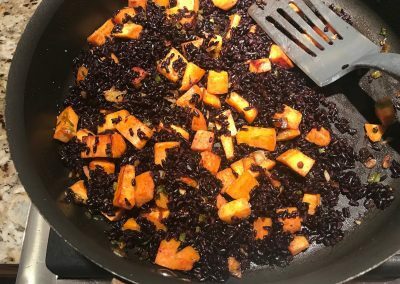 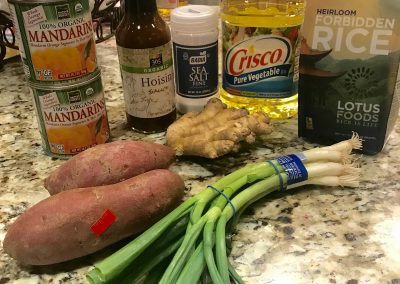 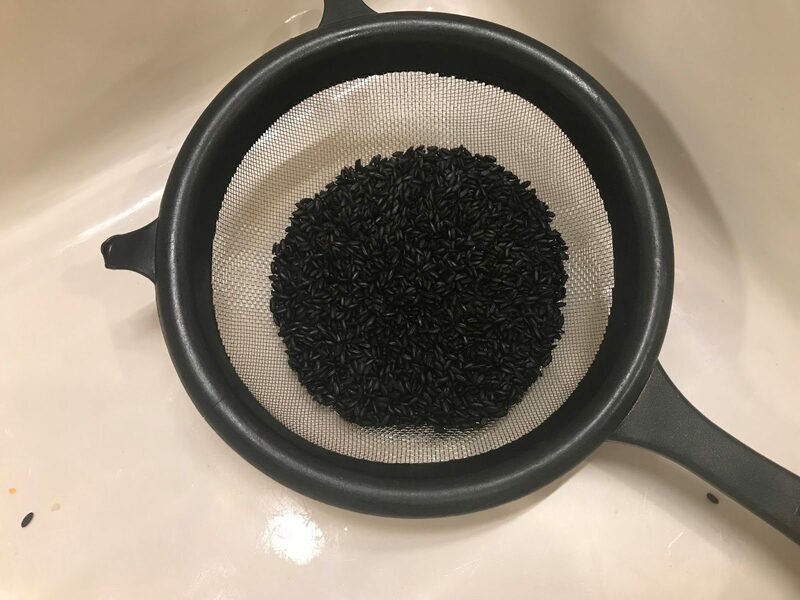 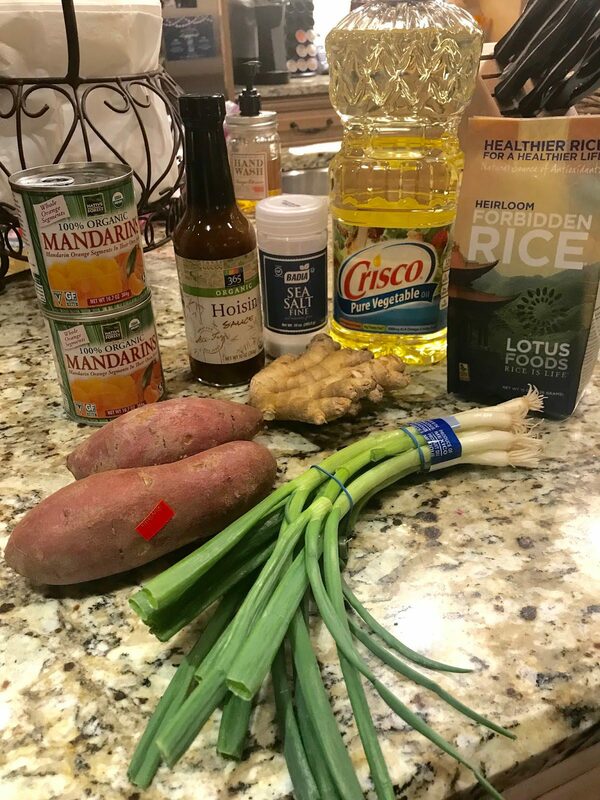 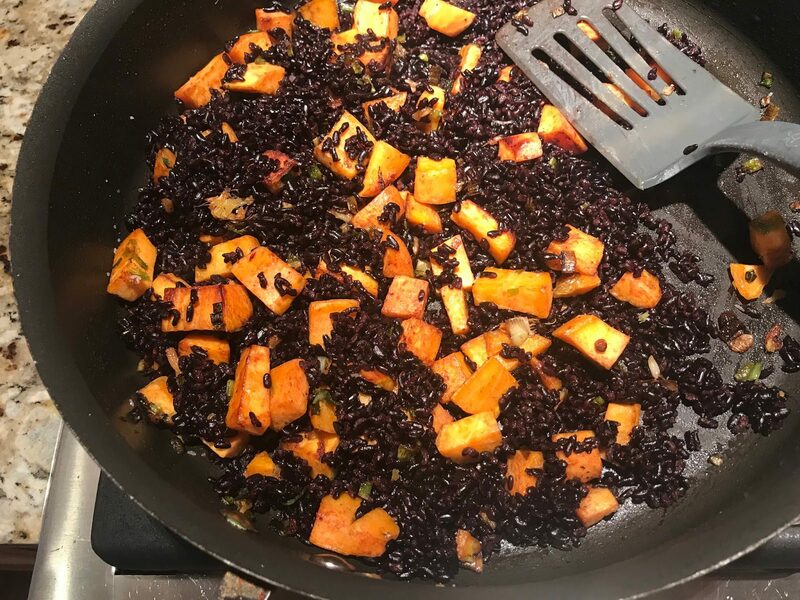 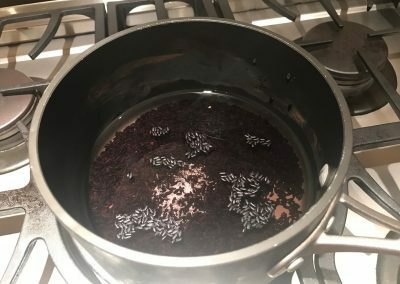 3/4 cup Chinese black rice 1 1/2 cups water 3/4 tsp salt 2 TBSP vegetable oil 1 bunch scallions, chopped (3/4 cup) 1 TBSP minced peeled fresh ginger 1 large sweet potato or 2 small, peeled and cut into 1/2-inch dice 1 can mandarin oranges, drained Optional garnish: chopped scallion Rinse rice in a sieve under cold water. 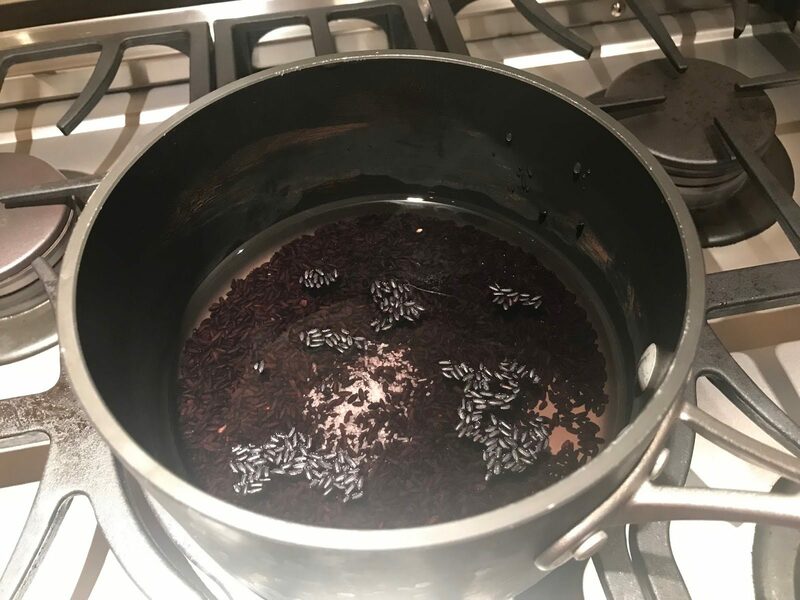 Bring rice, water, and 1/2 teaspoon salt to a boil in a 1 1/2- to 2-quart heavy saucepan. 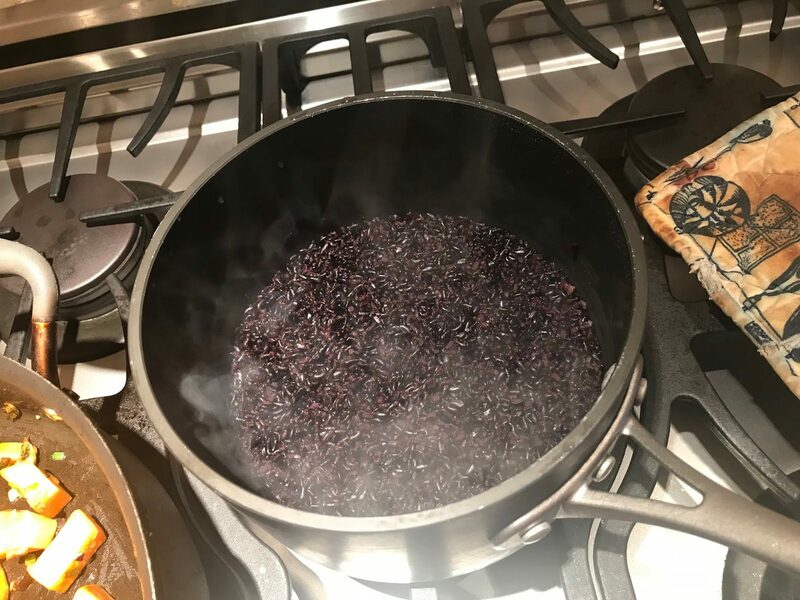 Then reduce heat to low and cook rice, covered, until tender and most of water is absorbed, about 30 minutes. 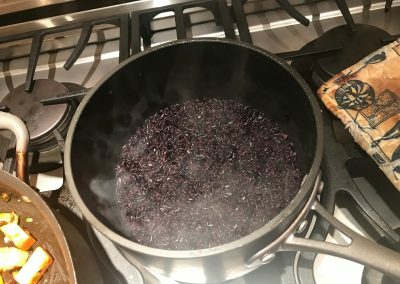 Let rice stand, covered, off heat 10 minutes. 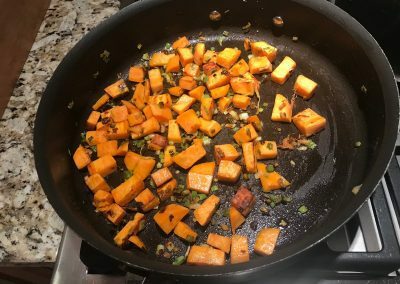 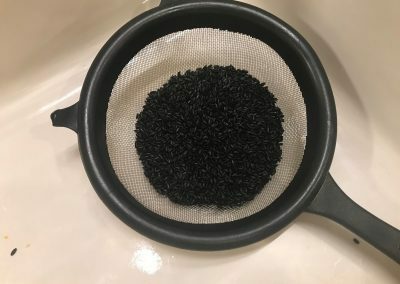 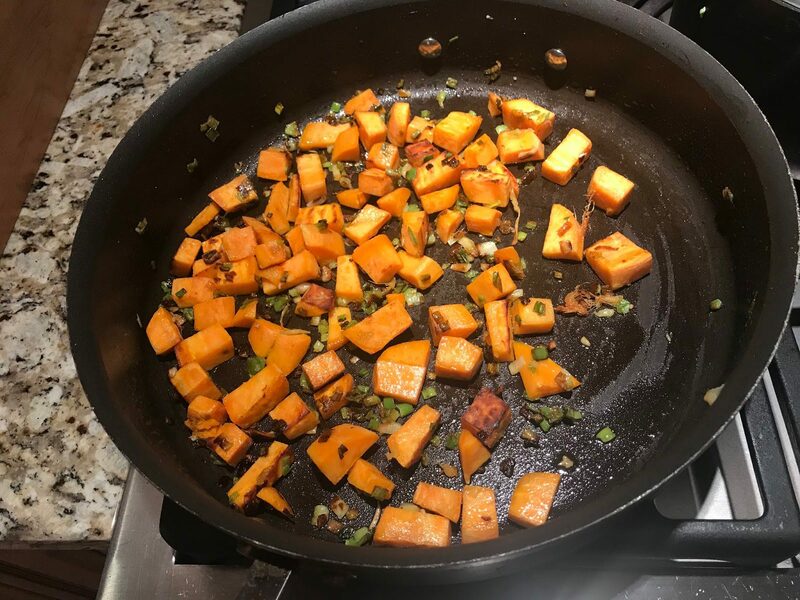 While rice cooks, heat oil in a 12-inch heavy nonstick skillet over moderately high heat until hot but not smoking and sauté scallions, ginger, and sweet potato, stirring, until coated well, about 2 minutes. 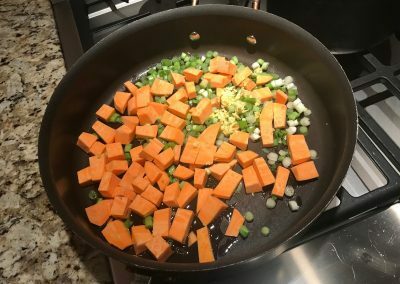 Reduce heat to moderate and add remaining 1/4 teaspoon salt and pepper to taste, then cook, covered, stirring occasionally, until potato is just tender, about 12 minutes. 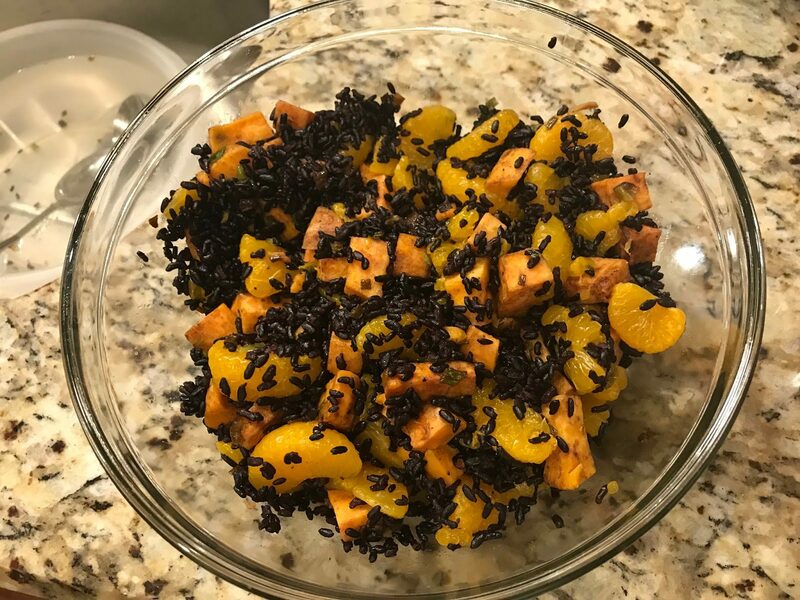 Add rice, and oranges and toss gently to combine, then serve. 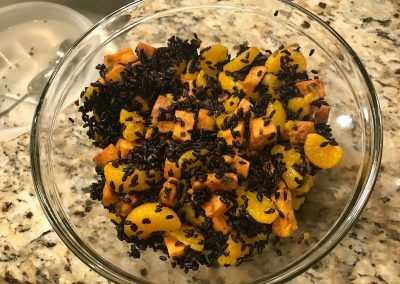 ***If making in advance, toss all together EXCEPT the oranges – add those just before serving at room temperature.